Any true guardian of the woodland realm would be proud to own the Elven Head Band. A subtle and stylish item like this can complete any fantasy costume and will have everyone admiring the sheer elegance of this accessory. Carefully constructed from vegetable tanned leather, this item is as stunning as it is functional. Two large cheek plates protect either side of the face. Stitching reinforces the upper edges. A large, leaf patch decorates the forehead and is attached to a thick cord that threads through the headband. Black lacing fits through the brass eyelets of the brace for an adjustable fit. 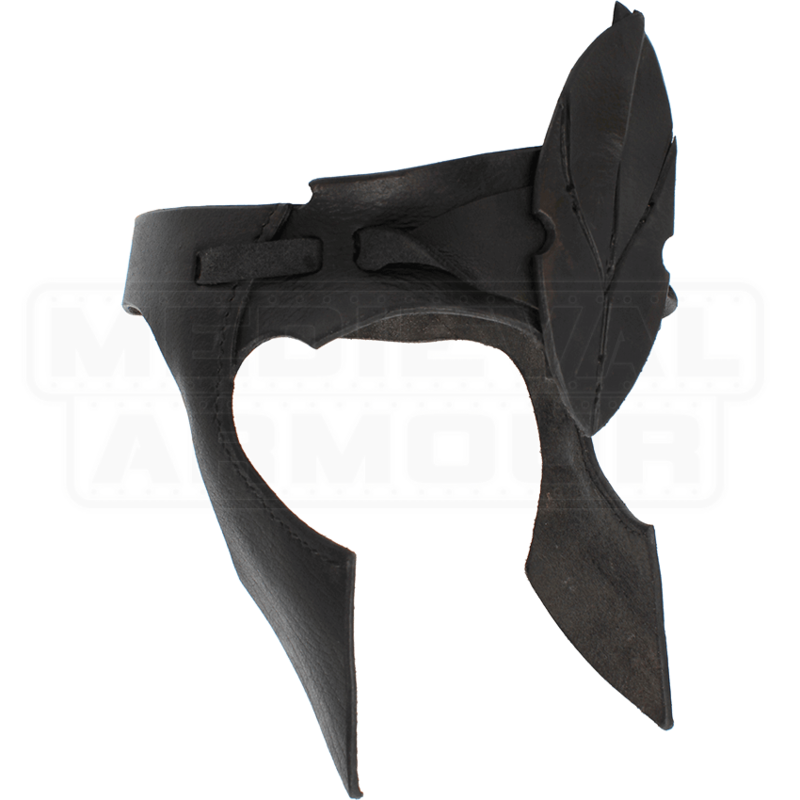 At your next LARP or costume event, become a warrior of the enchanted forest with the Elven Head Band gracing your brow. 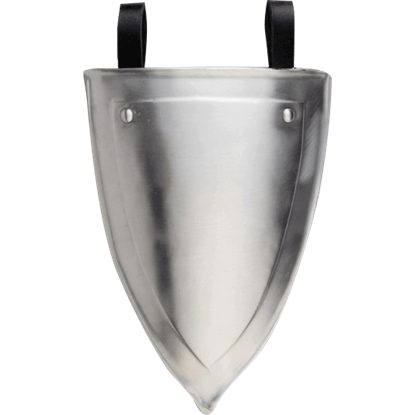 The Steel Lucas Shield Tasset allows young warriors to display the herald of their clan, while lending protection to the upper leg. 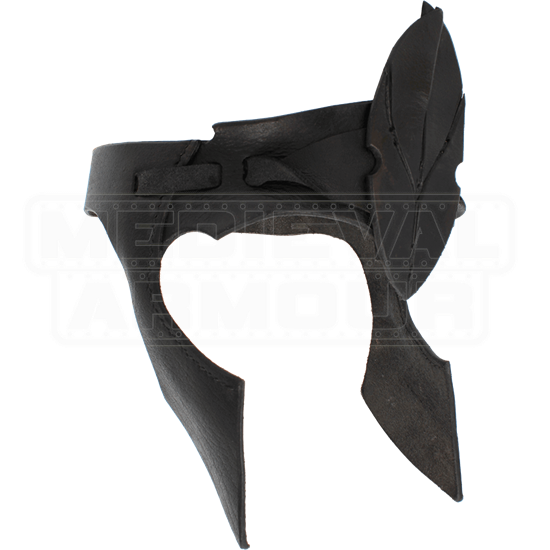 Make certain their defense is complete by combining this belt shield with rest of the Lucas armour.